Artonic, LLC is a leading web design company located in Southeast Michigan, specializing in website design, development, marketing, and maintenance. We understand the importance of working with a company you can trust. Our mission is to provide our clients with outstanding customer service and meet and beat our clients' every expectation. Our focus is on the marketability and usability of your website to ensure its success. 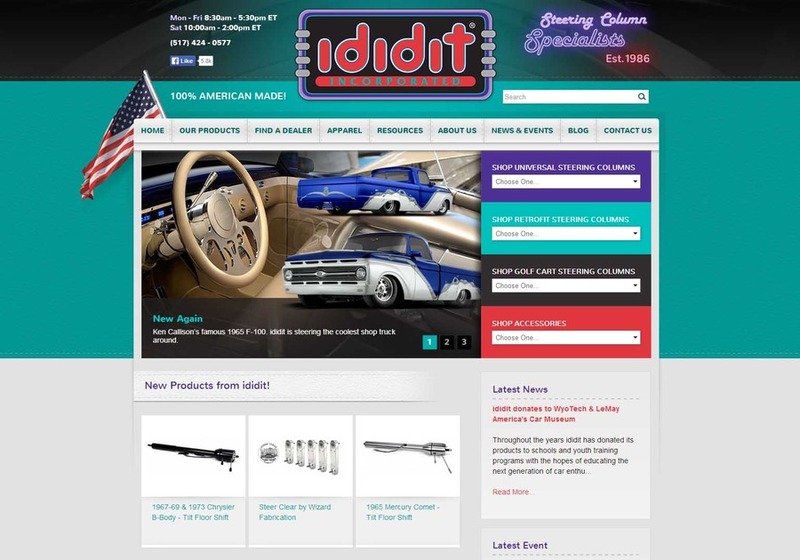 Completely custom from the ground up, ididit’s website is a perfect mirror of the company’s detailed, award-winning work. In the niche hotrod market, every detail counts. From stitching that resembles a car’s interior to neon lighting effects, the details in this website design astonish and impress. Several months after the website launched, the design won the coveted SIA Marketing Effectiveness Award 2013. Why? The results are in: Google Analytics revealed a bounce rate decrease of 57%, 110% increase in visit duration, 188% increase in pages viewed per visit, and a 226% increase in pageviews. Amazing!